Thank you, Lawrence. 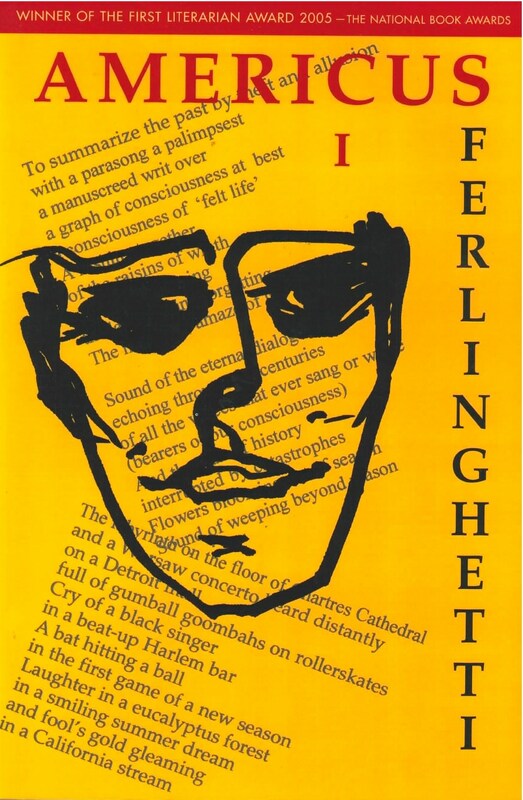 Viva Ferlinghetti! Lawrence Ferlinghetti lights out for the territories with Book I of his own born-in-the-U.S.A. epic, Americus, now available as a New Directions Paperbook. Describing Americus as “part documentary, part public pillow-talk, part personal epic—a descant, a canto unsung, a banal history, a true fiction, lyric and political,” Ferlinghetti combines “universal texts, snatches of song, words or phrases, murmuring of love or hate, from Lotte Lenya to the latest soul singer, sayings and shibboleths from Yogi Berra to the National Anthem, the Gettysburg Address or the Ginsberg Address, that haunt our nocturnal imagination.” This book is a wake-up call that breaks new ground in the grand tradition of Whitman, W.C. Williams, Charles Olson, and Ezra Pound, as Ferlinghetti cruises our literary and political landscapes, past and present, to create an autobiography of American consciousness.